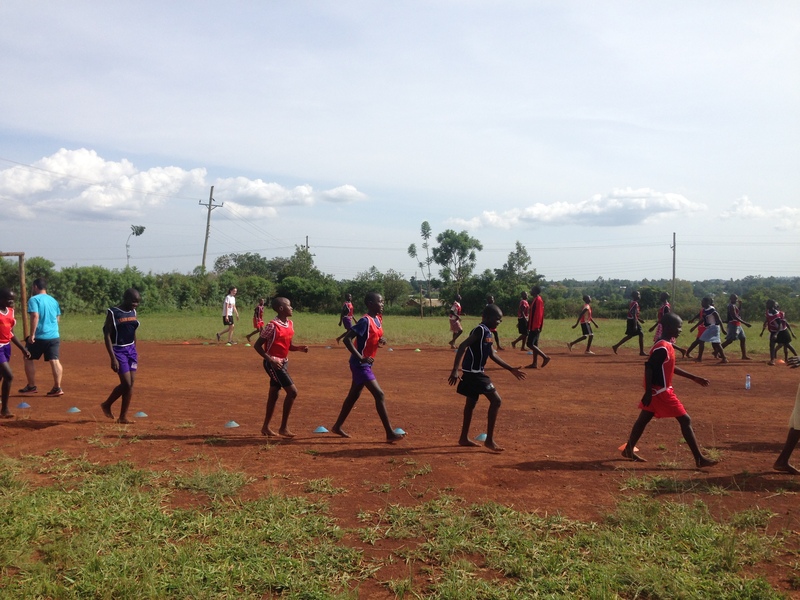 Our Brighter Futures programme uses mixed gender football as a vehicle to educate the community on issues, including gender-based violence and gender inequality. The programme initially provides interactive lessons to boys and girls at partner schools, before community outreach sessions are held to ensure that all groups within the community receive this vital education. Brighter Futures has now been operating for 18 months and evidence demonstrates that the programme is having a positive impact in reducing gender-based violence, child marriage and teenage pregnancies. In Ndhiwa, where Team Kenya works, only 15.7% of girls continue into secondary education – with gender-based violence, child marriage and teenage pregnancies being the main causes for girls dropping out. However, we’re pleased to report that of the girls we reached through our Brighter Futures Girls’ Support Groups last year, all of them have continued in education, including older girls who have progressed on to secondary education. We believe that this clearly demonstrates that the programme is having a significant and positive impact in reducing instances of gender-based issues. Furthermore, surveys and interviews with students and teachers at partner schools suggest that occurrences of gender-based violence, child marriage and teenage pregnancies have been greatly reduced. Whilst it is very difficult to measure the prevalence of each issue, as most instances are concealed or go unreported, the overriding opinion of students and teachers is that things are getting better and evidence from the wider community suggests that the community outreach sessions have positively contributed to those living locally. In the past 18 months, community outreach sessions have been held with church leaders, village elders, older boys in the community, parents of school students and teachers from partner schools. Before and after questionnaires from each group have demonstrated a clear increase in knowledge and understanding of issues relating to gender-based violence, child marriage, teenage pregnancies and wider gender issues. Furthermore, the community crime statistics show a reduction in instances of gender-based violence, with sexual offences against women reducing by 53% between 2016 and 2018. Disclaimer: We are, however, hesitant to read too heavily into these figures as sexual offences are so often not reported. Looking to the future: over the next six months, we will be installing anonymous drop boxes at each partner school to gain a real insight into the issues that are still prevalent at our partner schools and within the community. We are currently undergoing an extended period of sensitisation to ensure that both teachers and students understand the purpose of the boxes and once this is done, we will gather all entries and start addressing – and acting – on the remaining issues girls face in Ndhiwa.